Mississippians have invested considerable time and effort in creating a beauty pageant tradition and have excelled in competition with women from other states. European festivals that crowned women as symbols of May Day and other ritual occasions were the predecessors of modern American beauty pageants, and in the colonial era this custom took root in the South more than among the New England Puritans. The ideology of the Old South included a prominent role for the beautiful white woman, whose chaste, idealized image undergirded the white-dominated society. The identification of whiteness, beauty, and women survived into the twentieth century. W. J. Cash called the southern woman “the shield-bearing Athena gleaming whitely in the clouds.” In short, southern culture placed white women on a pedestal and invested great meaning in their symbolic role, with the mythic southern belle figure the cultural icon that beauty contests came to honor and that empowered young women who embraced it. Schools for young southern white women throughout the nineteenth century included contests for selection of attractive, popular queens, and by the early twentieth century agricultural, state, and county fairs were including beauty competitions among women. Commercial beauty pageants emerged in northern resort communities about the same time, and southern coastal resorts began sponsoring such contests shortly thereafter. The most famous national beauty pageant, the Miss America contest, began in 1921. Mississippians who have won that crown are Mary Ann Mobley (1959), Lynda Lee Mead (1960), Cheryl Prewitt (1980), and Susan Akin (1985). Between 1968 and 1988, Mississippi surpassed any other state in consecutive preliminary winners in the Miss America contest, in contestants placing in the top five, and in winners of the swimsuit competition. The 1988 Mrs. World was from Mississippi, as was that year’s Miss Teen USA. The University of Mississippi has made the beauty queen a part of campus lore, as the university has had three Miss Americas (Mobley, Mead, and Akin). In 2007 Miss Arkansas, Miss Illinois, and Miss Tennessee were all University of Mississippi students. Southern society barred African American women from beauty pageants until the end of Jim Crow segregation in the 1960s, thus excluding many Mississippians from competition. Black ideals of beauty were long apparent through an extensive network of cosmetics, beauty salons, and cultural meanings associated with shades of skin color. The civil rights movement strengthened pride in a specifically black ideal of beauty. Popularized in the 1960s, the phrase “black is beautiful” reflected an empowered ideal of dark skin as a more general reflection of pride in black culture. Beauty pageants became a fixture at historically black colleges and in black communities across the South, and black women soon began competing in community-wide beauty contests. Toni Seawright, a Mississippi University for Women student, became the first black Miss Mississippi in 1988, and she went on to place in the top five at the Miss America Pageant. In 2007 Alcorn State student Kimberly Morgan became the second black Miss Mississippi, and seven years later, Jasmine Murray of Columbus became the third. Mississippi has developed an infrastructure to nurture beauty queens. For example, America’s Model Miss is a Caledonia-based business that sponsors the Miss Southern Babes State Pageant, aimed specifically at Mississippi girls. Its website notes that “Our home is in Mississippi, and this Pageant is for all the Beautiful Mississippi Girls!” Competition occurs in age divisions ranging from newborns to teenagers, with such categories as sportswear, denimwear, photogenic, beauty optionals (“prettiest eyes, best smile, prettiest hair, and fashion”), and most beautiful face. Another company sponsored the First Butterfly Beauties Pageant in 2006 and Mississippi’s Little Princess Pageant, held in Hattiesburg in March 2007. December 2007 saw competition for Miss Teen Mississippi Magnolia State Pageant, Miss Mississippi Magnolia State, and Mrs. Mississippi Wife of the Year—all held in Vicksburg. The Dixie Diamond Pageant is held each fall for girls across all age ranges—from children to young women. Winners in all these contests typically receive scholarship money and clothes. A Jackson Clarion-Ledger reporter visiting the 2007 state fair noted the presence of six beauty queens: Miss Mississippi State Fair, Teen Miss Mississippi State Fair, Little Miss Mississippi State Fair, Tiny Miss Mississippi State Fair, Preteen Miss Mississippi State Fair, and Baby Miss Mississippi State Fair. Miss Hospitality was also among the feted women in attendance. One of the reasons for the success of the state’s beauty queens in national contests is the stability and preparation associated with pageants. 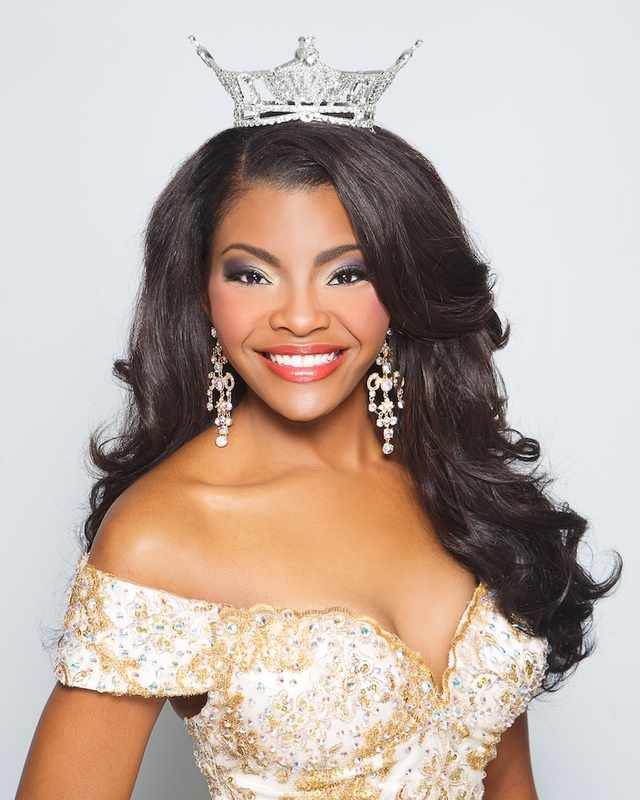 Mississippi has been a leader in advanced training to prepare the state pageant winner for the Miss America contest. The Briggs Hopson family has long held the license to produce the state pageant, which has been held in Vicksburg since 1958, generating a reported economic impact of $1.6 million in 2015. The Hopsons work with the winner for more than a month before the Miss America pageant. Other trainers across the state assist contestants in countless beauty pageants with tutoring in image, pageant techniques, sharpening of talent, and general self-improvement.